Since World War II, abortion policies have remained remarkably varied across European nations, with struggles over abortion rights at the forefront of national politics. 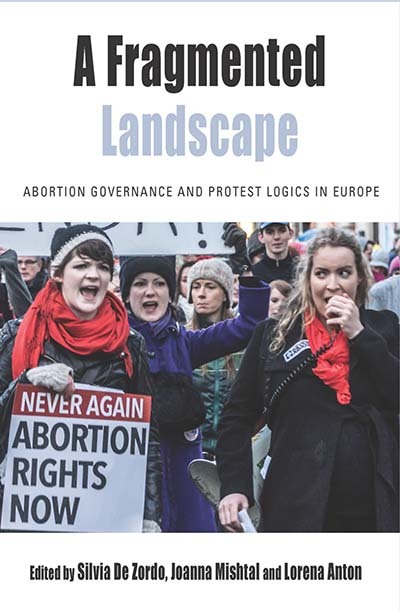 This volume analyses European abortion governance and explores how social movements, political groups, and individuals use protests and resistance to influence abortion policy. Drawing on case studies from Italy, Spain, Norway, Poland, Romania, Russia, Sweden, Switzerland, the United Kingdom and the European Union, it analyses the strategies and discourses of groups seeking to liberalise or restrict reproductive rights. It also illuminates the ways that reproductive rights politics intersect with demographic anxieties, as well as the rising nationalisms and xenophobia related to austerity policies, mass migration and the recent terrorist attacks in Europe. Silvia De Zordo is a Senior Researcher at the University of Barcelona (UB), Department of Anthropology. Her research interests encompass contraception, abortion and conscientious objection in Latin America and Europe. She has recently been awarded an ERC Starting Grant to study the impact on women of barriers to legal abortion in Europe. Her recent publications include Reproduction and Biopolitics: Ethnographies of Governance, "Irrationality" and Resistance (ed. with Milena Marchesi), published by Routledge in 2014. Joanna Mishtal is an Associate Professor of Anthropology at the University of Central Florida. Her research examines reproductive rights, health, and policies in Poland, and in the context of EU governance. Her ethnography The Politics of Morality: The Church, the State and Reproductive Rights in Postsocialist Poland (2015) received the Adele E. Clarke Book Award in 2017. Lorena Anton is a Marie Curie Fellow in social anthropology at the University of Bucharest (2013-2017), where she develops a project on abortion governance in post-communist Romania. Recent publications include ‘On n'en parlera jamais de tout ça! Ethnographier la mémoire de l’avortement en Roumanie de Ceaușescu’, in Ethnologie Française (2014) and the ‘Cultural Memory’ entry in Protest Cultures: A Companion (eds. Fahlenbrach et al., Berghahn Books).